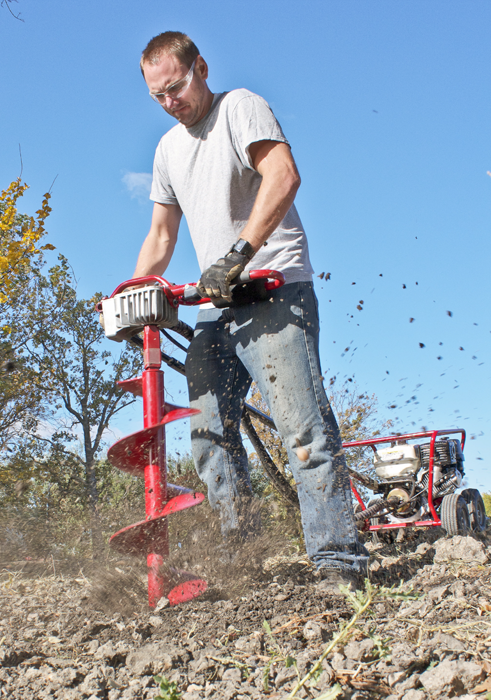 For over 50 years, the versatile Little Beaver Mechanical Earth Drill has been the #1 choice of rental store owners, fencing contractors, and other professionals who require a one-man auger that is safe and simple to operate. 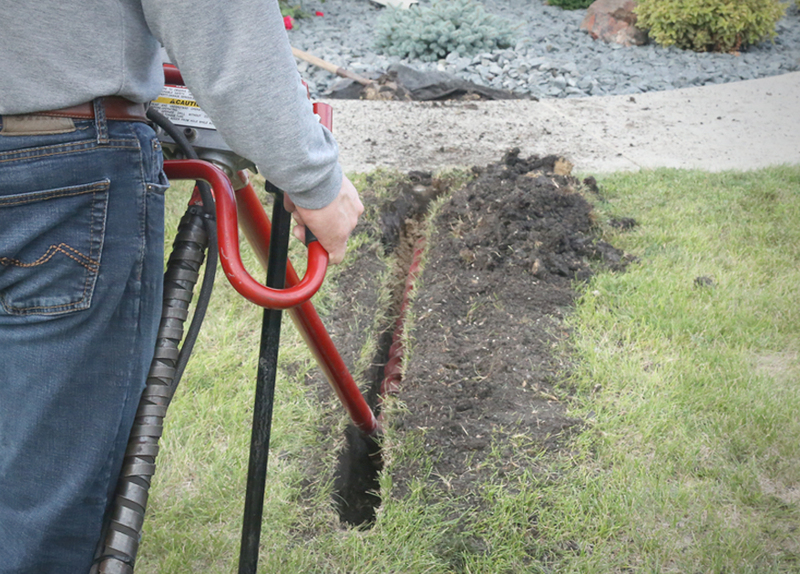 Thanks to our exclusive torque tube, we’ve eliminated the kickback found in competitive one-man and two-man augers, making one-man drilling safe and productive. Little Beaver’s horizontal boring options easily convert your earth drill into a cost effective horizontal boring machine. 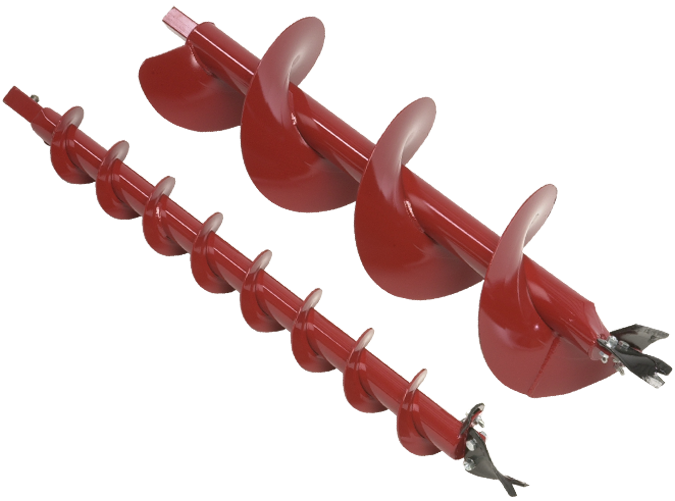 The sidewalk boring kit uses a 3″ auger and wiggle joint extension to bore up to 5′. The water drilling kit is used for horizontal distances up to 50′ with a diameter of 2, 3, or 4″. We build our own heavy-duty transmissions that feature o-ring seals, heat treated shafts and bearings mounted in an oil bath, as well as cooling fins for quick heat dissipation. Little Beaver earth drills are incredibly fast. Operating at 360 RPM, our augers rotate much faster than competitive units. Not only does this increase your drilling productivity, but it also results in cleaner holes. 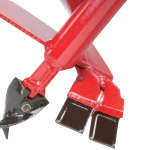 Standard augers are equipped with hard-faced, replaceable points and cutting blades. For added value, most blades are reversible. 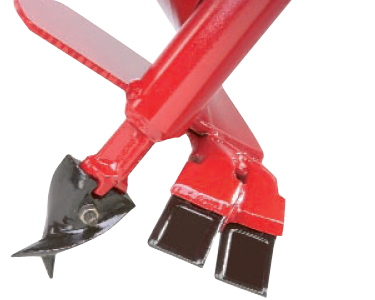 Heavy-duty blades quickly cut through rocky soils. 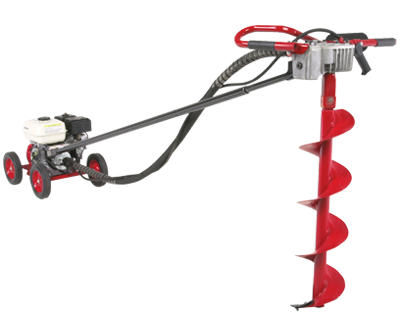 These augers operate most efficiently at a slower RPM speed and are recommended for 20:1 or 13:1 gear ratios. 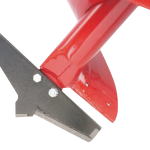 When drilling hard clay, frozen ground, asphalt or hard pan soils, Little Beaver’s carbide blades are the solution. 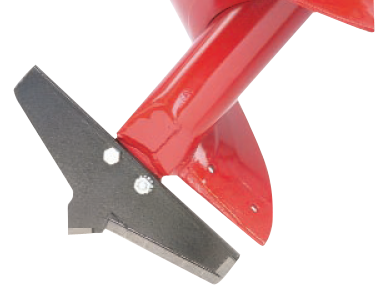 The carbide blade replaces both the standard point and cutting blade. Customize your Little Beaver with a variety of engine, wheel and carriage options. 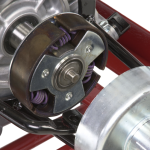 Both the MDL-5 and MDL-8 models are available with Honda OHV or Briggs & Stratton engines. 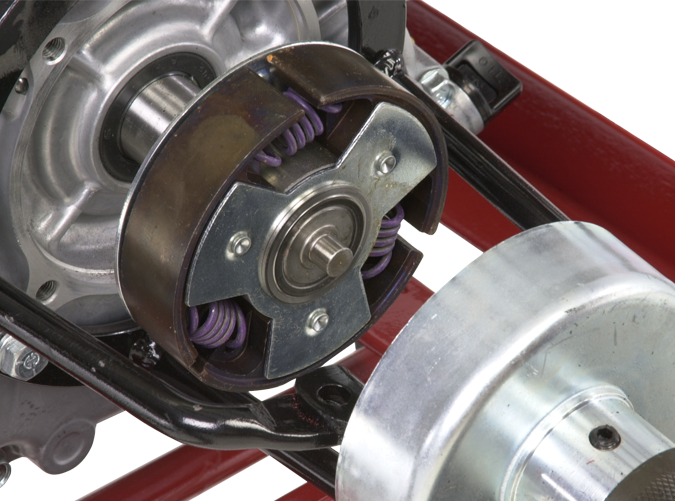 10″ pneumatic wheels are standard on MDL-8 models, and optional on 5.5 hp units. Engine protecting roll cages are optional on all models. With its 20″ semi-pneumatic wheels, the specially designed rick-sha carrier is ideal for navigating over the rough terrain often associated with geophysical job sites. A convenient pull handle and transmission cradle makes it easy to smoothly move the earth drill to your exact drilling location. ** Optional 10″ pneumatic wheels are available for MDL-5B and MDL-5H.